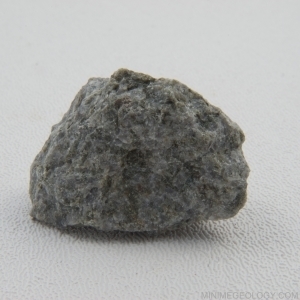 Anorthosite is a white to light gray-colored intrusive igneous rock. Major minerals of anorthosite include just feldspar. Anorthosite has a course-grained texture due to slow cooling underground.